State Senator Juan “Chuy” Hinojosa, who is seen during 2017's legislative session, announced last week that $350,000 in federal funds has been awarded to the city of McAllen, as well as other local organizations. McALLEN — The city took its “hopeful” final step Monday in a years-long fight to receive $141,000 in federal reimbursements for money it spent following the 2014 immigration surge that the city helped assist. As immigration numbers spiked that year with scores of Central Americans crossing the border, in many cases to apply for asylum, the city spent more than a half-million dollars to help with temporary shelter, hygiene products, supplies, staffing expenses and more. City commissioners voted unanimously Monday to submit an application to Gov. Greg Abbott’s office, which is charged with distributing the already awarded Federal Emergency Management Agency funds to “reimburse jurisdictions along the Texas/Mexico border for costs incurred by the influx of unaccompanied children and families through the State Homeland Security Program, Humanitarian Relief for Unaccompanied Minors and Families Grant,” the application states. 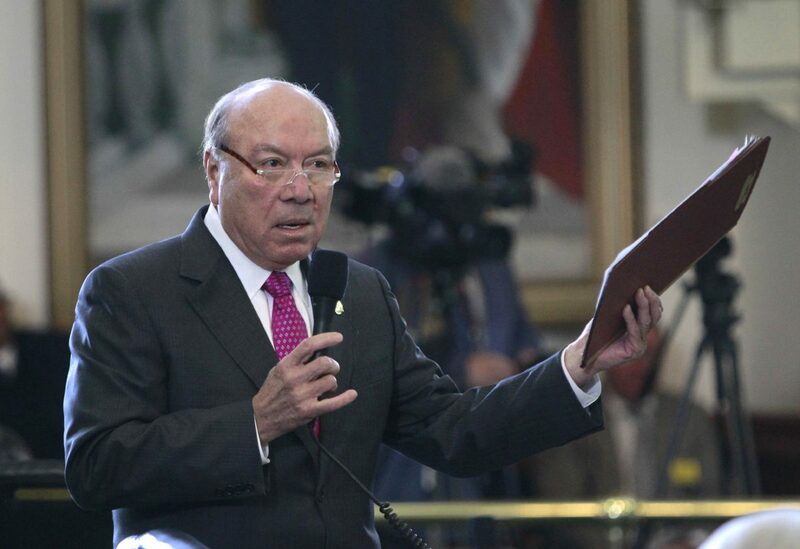 Last week, State Sen. Juan “Chuy” Hinojosa, D-McAllen, announced that $350,000 in federal funds had been awarded to the city, Catholic Charities of the Rio Grande Valley and the Food Bank of the Rio Grande Valley. Of that pot of reimbursement money, McAllen will receive $141,525, according to the application. City Manager Roel “Roy” Rodriguez expects to receive the money, as Monday’s vote was the final formal step in funneling that money from the governor’s office. As Monday’s vote took place at city hall, the national conversation has once again centered around McAllen. President Trump’s “zero-tolerance” policy resulting in the separation of more than 2,000 immigrant families, many of which cross through the U.S.-Mexico border in the Rio Grande Valley. While immigrants continue to pass through McAllen, city officials said the city is spending minimal money this time. They are supporting the Catholic Charities-operated humanitarian respite center, which is no longer at Sacred Heart Catholic Church. In 2014, and the following three years, the respite center was operated out of the church. The city sent tents, showers and many other resources to help support that respite center. At the new respite center on the corner of Bicentennial Boulevard and Beaumont Avenue, the city has not needed to divert those kinds of resources. So city officials are not concerned about the kind of spending that incurred from the fallout of 2014. The reimbursement effort to recover the full half-million dollars is not expected, city officials said. “We’re going to take our $141,000 and smile,” Rodriguez said.